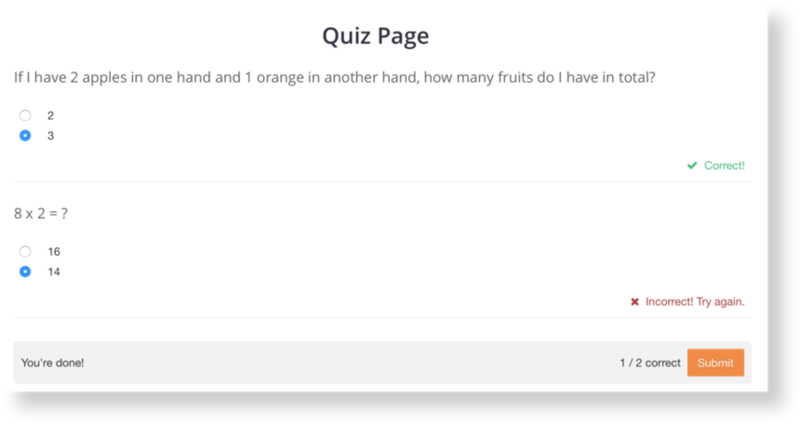 How do I create a quiz page? Quizzes are a great tool for allowing students to reflect on their learning. 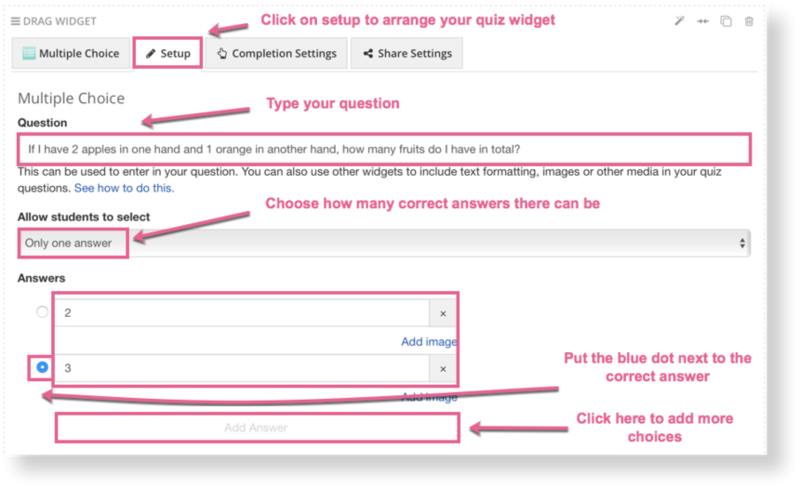 Creating a quiz is very simple: all you need are quiz widgets and one submit button! Choose the widgets you'd like to add to the page and set up your questions and answers within each one. The following example will be done using the multiple choice widget. After adding as many widgets to the page as you'd like and setting them up, add a submit button to the bottom of the page. The submit button processes the correctness of all compatible widgets on the page. 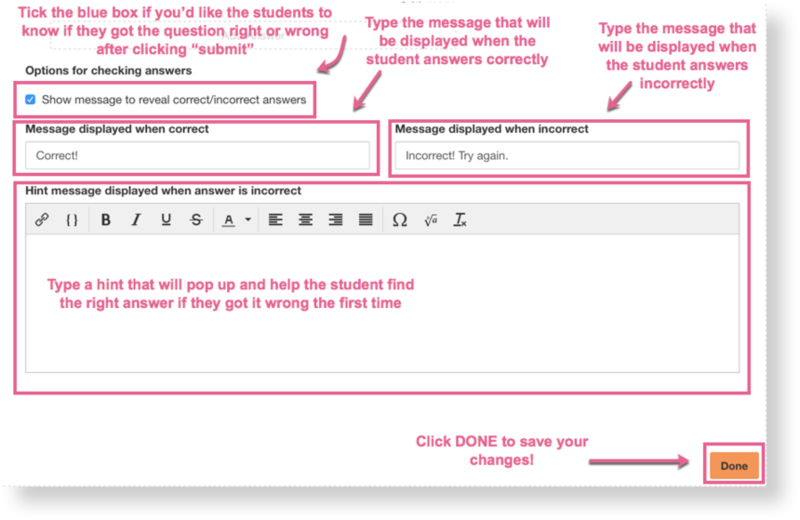 Now that your quiz widgets and your submit button are all set up, the entire page should work as one quiz. How do I change the width of widgets?